Miss Berry writes Mr. Skinner about the quails that were killed on Thanksgiving and asks that he sets up warnings and have some one appointed to check the grounds so that will not happen on Christmas. 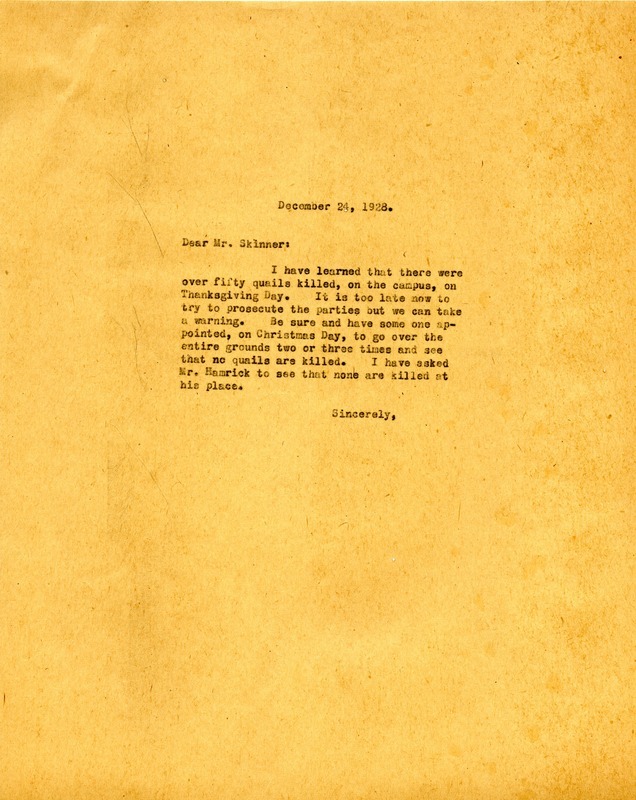 Martha Berry, “Letter to O. C. Skinner from Martha Berry.” Martha Berry Digital Archive. Eds. Schlitz, Stephanie A., Chelsea Risley, Rachel Renaud, et al. Mount Berry: Berry College, 2012. accessed April 24, 2019, https://mbda.berry.edu/items/show/8943.